Dr. Chethana Rao is a caring and diligent primary care doctor serving the Fairfax, VA community for over 20 years, during which she has garnered the admiration of her patients and the respect of her colleagues. She currently has offices in Fairfax and South Riding, VA.
Dr. Rao attended Bangalore Medical College and Research Institute, where she received her medical degree with the Gold Medal award. She then completed her residency training in Internal Medicine at the University of Tennessee Medical Center and Penn State – Geisinger Medical Center. Dr. Rao is the Director of Prima Medicine which is part of the Privia Medical Group. 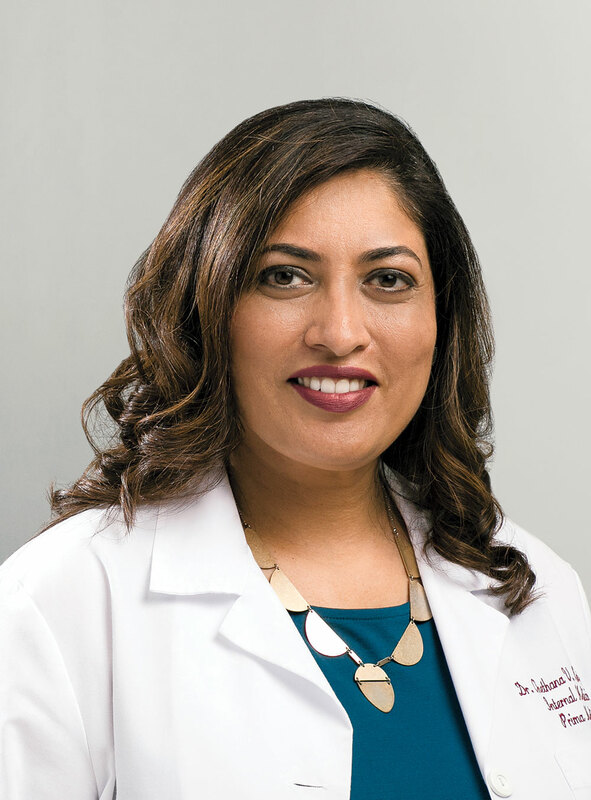 She is affiliated with Inova Fair Oaks Hospital in Fairfax, VA and is a member of the American College of Physicians, Virginia Chapter and the American Association of Physicians of Indian Origin.